Welcome to Wednesday! We hope you enjoyed some of the meals we published in our Menu Monday’s post. 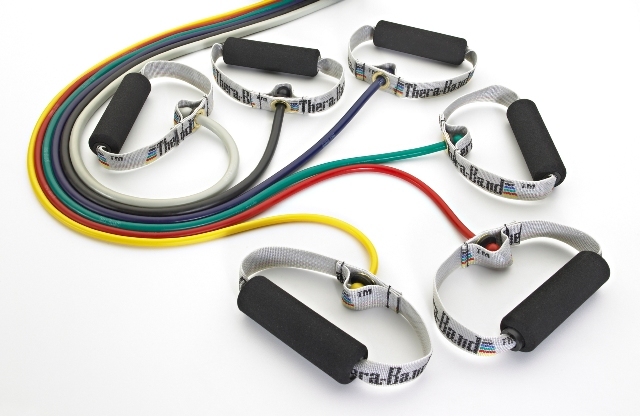 Today, continuing with the weekly theme, we bring you a workout with exercise resistance bands/tubing. 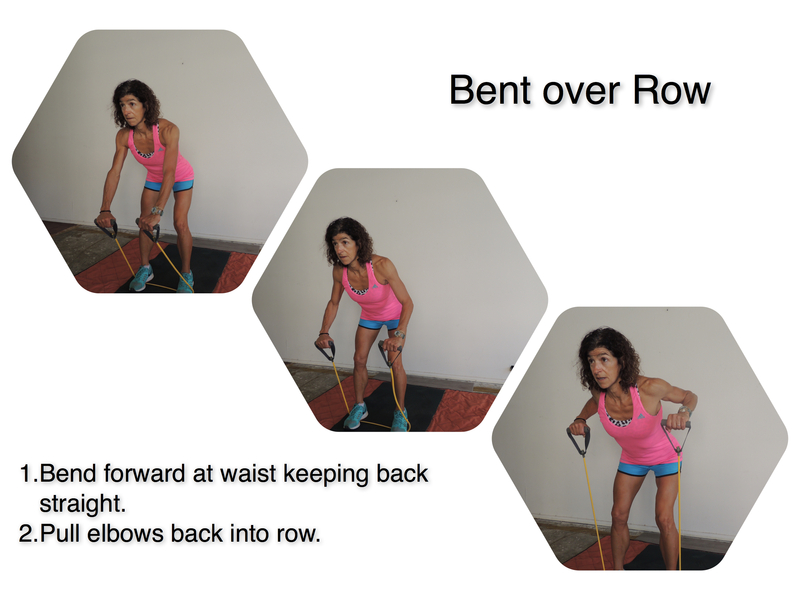 If you have been exercising using your body weight for resistance, you can increase the effectiveness of those workouts using exercise resistance bands of various tensions. 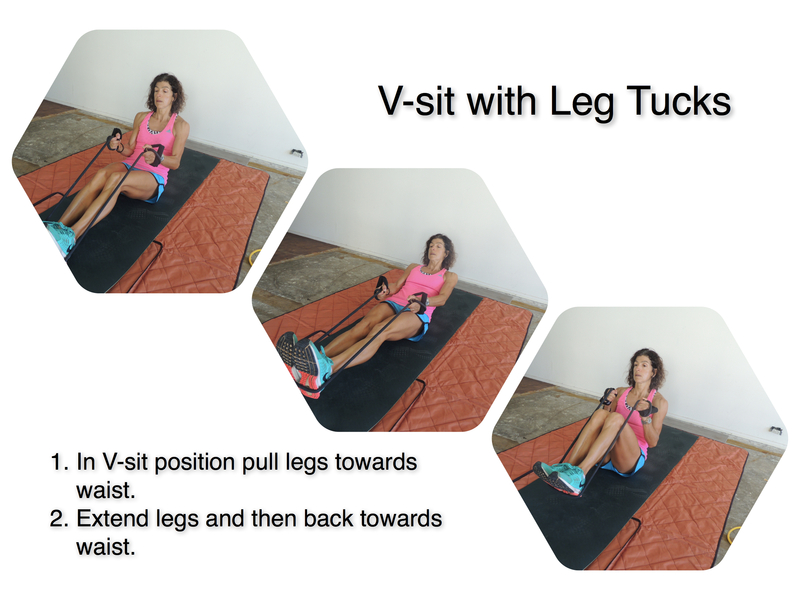 This equipment is relatively inexpensive to buy compared to free weights, versatile, and portable. When shopping for exercise tubes and bands, be sure to choose better quality products like tubes from SPRI or Thera-Band. There are also some less expensive options that are still good, like Gold’s Gym tube kit, sold at various department stores or online. Buy a couple of bands with different tensions, which can range from extra-light to extra-heavy. Some bands sold in kits may include specialized tubes that are looped together, and useful for different exercises. 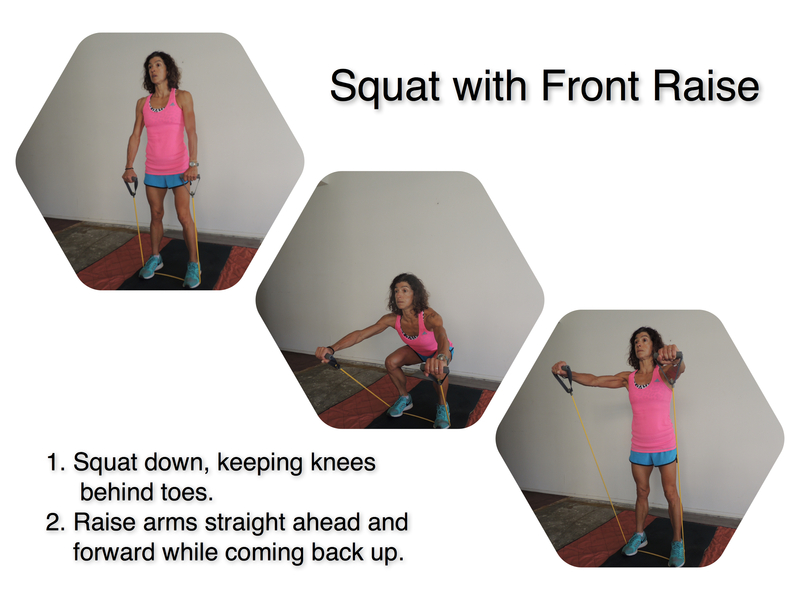 A total of 5 exercises, some of which are compound exercises that work several muscles at the same time. Aim for 15-20 repetitions of each exercise, depending on the resistance level of the tubes (with lighter resistance, more repetitions). 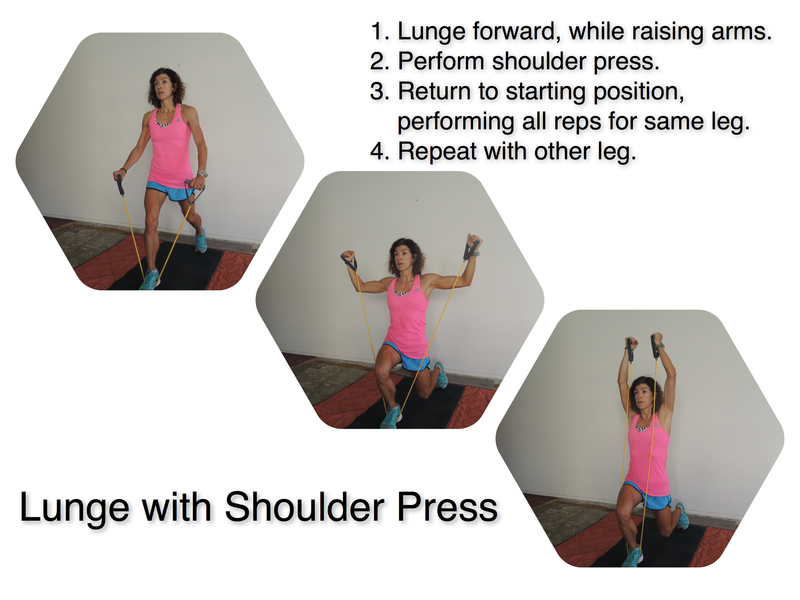 Repeat the 5 exercises for 2 to 5 sets. Enjoy a refreshing Pumpkin Spice Smoothie after this workout! 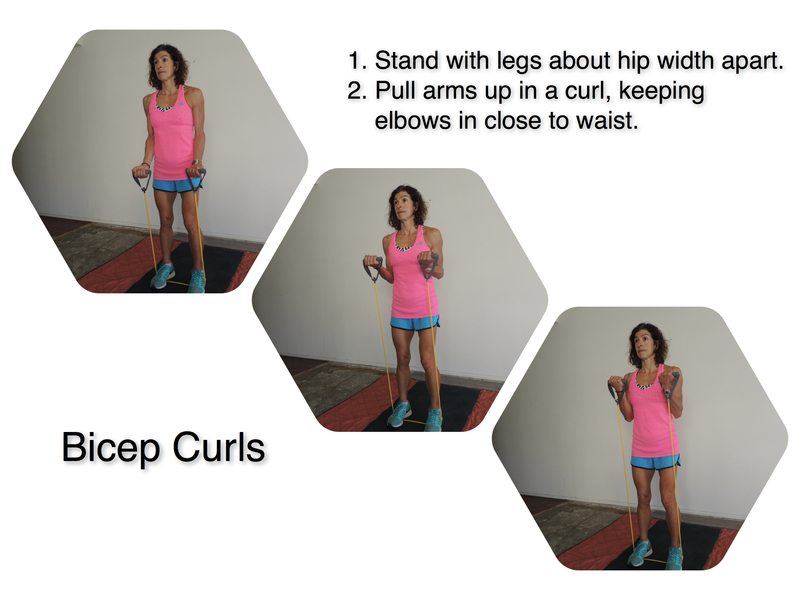 This entry was posted in Weekly Blogs and tagged exercise bands, exercise tubes, exercises with resistance tubing, fitness, workouts. Bookmark the permalink.